Back in the day, I was just as crazy about MAC as every other, beauty-obsessed teen. I'd spend any extra cash I had on attempting to squeeze the entirety of my local counter into my makeup drawers. Since then, my fixation with the brand has calmed significantly and, as a result of giving other brands some attention, I'm now left with a ton of neglected products. But, there is a handful of gems that I still adore and reach for on the regular. I may get frustrated at the constant flipping and changing of their prices, but MAC will forever remain one of my most-loved brands, so here are my top picks of their products. So I thought I'd start with the obvious choices. 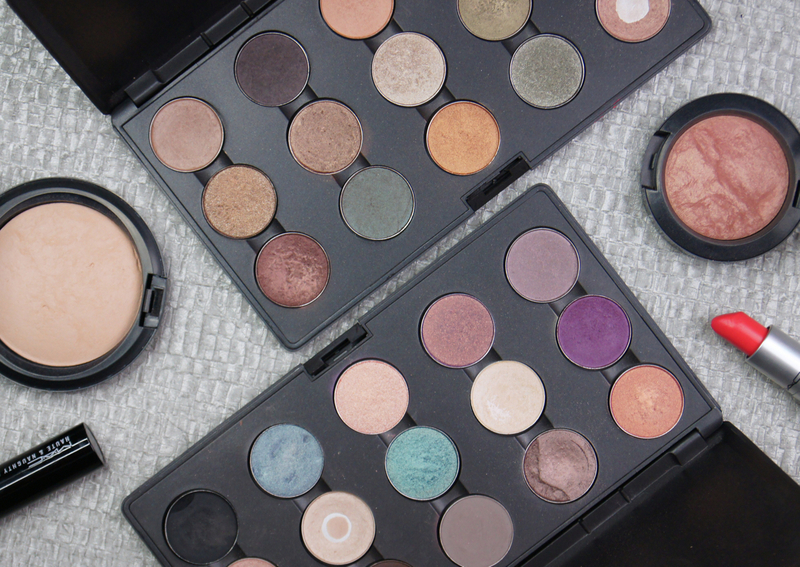 Head to any MAC store or counter and you'll be instantly drawn to their vast array of eyeshadows. With multiple finishes and hundreds of shades on offer, it's possible for anyone to find something they love. With only a few exceptions, the majority of the shadows are highly pigmented, buttery smooth and blend like an absolute dream, making them my most-used eyeshadows from my whole collection. There's a damn good reason why they're coveted by so many pro MUAs. Sitting somewhere between high-end and high-street, their prices aren't too extortionate and you're able to build your perfect, custom palette with the Pro Refill Pans. Personally, my favourites have to be Club, Patina, Omega and Sumptuous Olive, which you can see swatches of in my full MAC Eyeshadow Collection post. 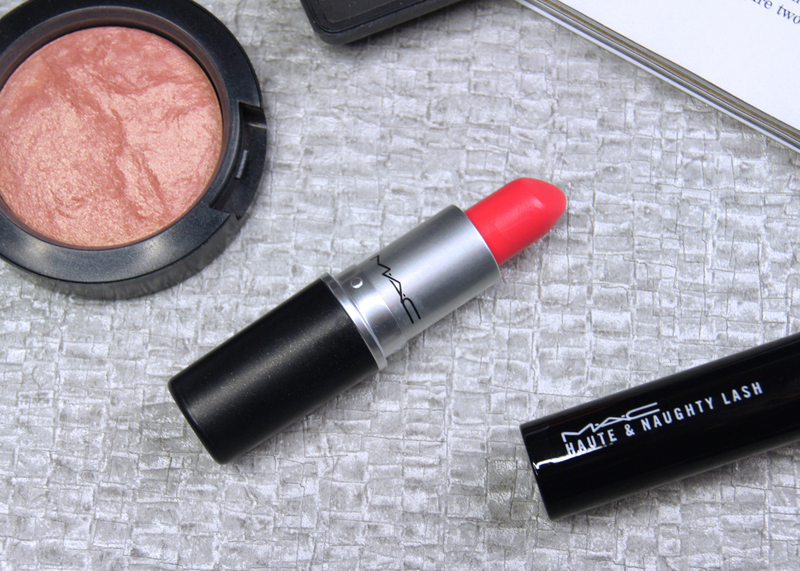 Another MAC must-have is a lipstick, or fifty. Their black and silver bullets are what made the brand famous and, just like their eyeshadows, they offer a plethora of formulas, finishes and shades. From powdery mattes to silky cremesheens and from fluorescent brights to sheer, understated nudes, you can complete any look with a MAC lipstick. Plus, if you buy one of their Viva Glam lipsticks, they donate every penny from your purchase to the MAC Aid's Fund. Essentially, you're getting your beauty fix whilst doing a good deed and helping a charity. Pretty cool. Another bonus for any lip lovers out there, is that you can swap six, empty products for a new lipstick of your choice, with the brand's Back-to-MAC scheme. I may have gone a bit wild and purchased a few, questionable colours in the past (I'm looking at you, Saint Germain), but now I'm pretty happy with my current set, which you can check out in my MAC Lipstick Collection + Swatches post. Being blessed with a normal to dry skin-type, I have a love/hate relationship with powder. MAC's MSFNs are a cut above the rest, though. 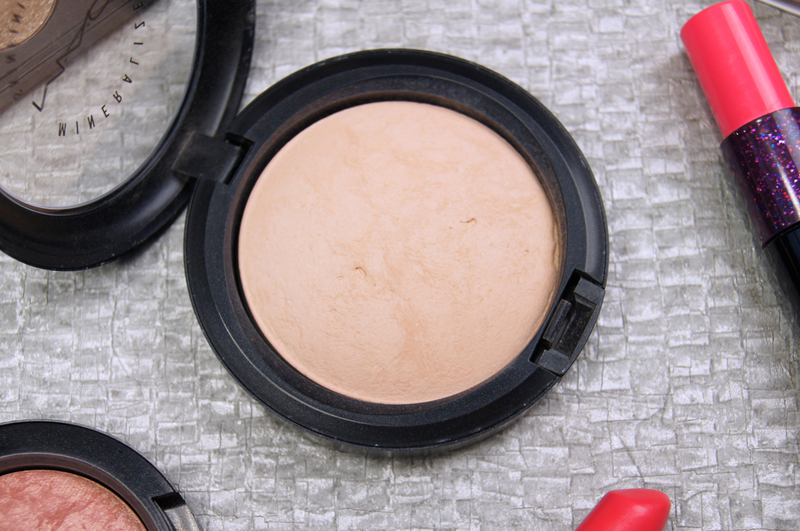 Unlike most formulas, which create a totally flat result and leave a chalky residue on top of the skin, these powders have a flattering, barely-there finish. The baked powders are infused with skin-loving minerals and are so finely-milled that they feel like velvet. When swept across the skin, the powder gently absorbs any unflattering shine and imparts a blur-effect radiance that looks perfectly natural. The powders offer a light coverage, which adds some extra oomph to your base when used over foundation. Worn alone, they add a sheer veil of colour to the skin which is great for 'no makeup' days. One thing to keep in mind when wearing these powders, is that they do create flash-back in photographs, thanks to the high mineral content. That aside, I can't fault them! Another product I adore from MAC's mineralize range, is their blushes. Just like the face powders, they add a gorgeous, healthy glow to the skin and the pigmentation hits the perfect balance between adding enough of a flush, whilst remaining soft and natural-looking. As the blushes are marbled with a fine, soft shimmer, they almost negate the need for a separate highlight, especially when worn during the day. These blushes can emphasize the look of large pores (if you have them), but prepping with a smoothing primer really helps to avoid that. If you ever read my Makeup Must-Haves I Always Repurchase post, then you'll already know about my obsession with the shade Warm Soul. Probably my favourite blush of all-time, it's a pinky-bronze shot through with tiny, golden shimmers that warms up the complexion and pairs well with any makeup look. It's easy to be sucked in by MAC's dazzling colour cosmetics and quirky, limited-edition collections, which often leaves the basics overlooked. I've only sampled a few of the brand's mascara offerings and I never really thought much of them until I fell in love with their Haute & Naughty Lash. This is a two-in-one wonder, as the wand has varying densities depending on how you unscrew the lid - one providing lots of length and separation and the other adding tonnes of volume and drama. Both effects are gorgeous and I always pack this mascara in my travel bag, as it gives you both a day and night look, in one. 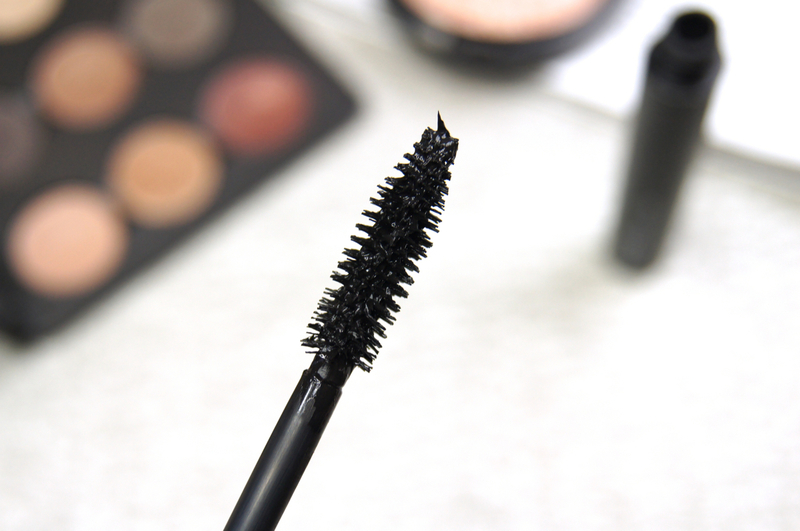 Usually, I much prefer plastic brushes when it comes to mascara, but the tapered, bristle brush grips every single lash from the root, to really coat each one and pull it up into a curl. I never hear mention of this mascara in the blogging world and it's such a shame. If you haven't discovered it already, you need to give it a try! Technically, I'd say any of the Mineralize Skinfinishes are gorgeous and worthy of a splurge. But, considering the majority only grace the shelves as part of limited-edition collections and sell out within days, they can be hard to get your hands on. To make sure I don't tease you with a discontinued shade, I can only mention the classic option from the permanent line - Soft & Gentle. 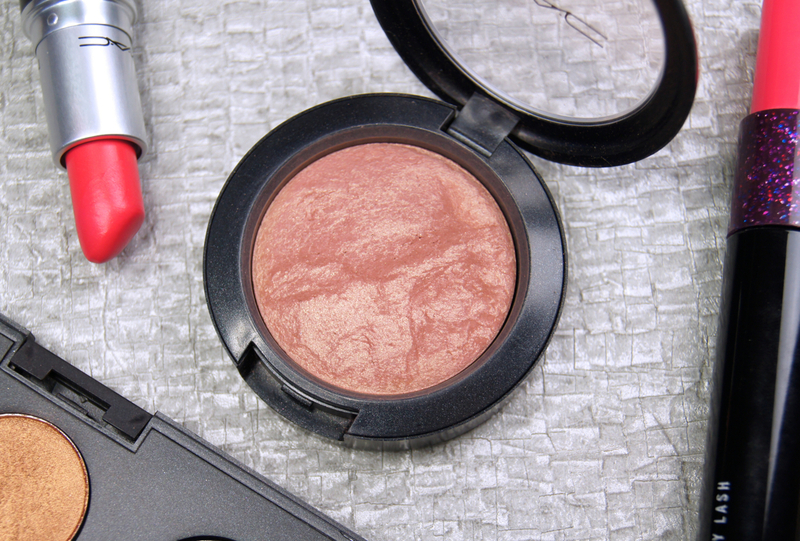 If you want an intense gleam on your cheekbones, then this is the highlighter for you. A peachy, champagne shade saturated with frosted flecks, this isn't a product for the faint-hearted. Even with the slightest touch of the brush, this highlight adds an abundance of glow. In my makeup bag, this is strictly reserved for evening wear and special occasions when going all-out. As with many mineral powders, using a brush can kick up some dust, so make sure to tap off any excess before applying to the face, to avoid any fall-down and a complexion speckled with glitter. The mascara is so strange, for ages I was trying to figure out, thinking it was two wands! I've never tried any of their mascaras but I've recently just ordered one I'm excited to try it out! I see all your MAC products, and get so sad because I only just bought my first MAC product, a lipstick. Gorgeous lippie but just a lippie haha! I really need to start investing in their mineralize blushes! How incredible are those tones?! My absolute must-have from MAC is the pressed Blot powder. I don't have super oily skin, just combination, but I hate the shine that develops on my T-zone throughout the day, and the Blot powder is the best mattifying product I've ever tried. I also love MAC's lipsticks and their Cremesheen Glasses! I haven't tried many MAC eyeshadows but I don't really like them? They're quite hard and not as pigmented as my palettes. Other than those I love everything that I've tried from MAC, especially their lipsticks! Being the makeup-obsessed beauty blogger that I am, it's crazy to me that I have never really gotten into MAC products. This post has inspired me to try some things out! So happy that I found your blog, so looking forward to keeping up with your posts. Warm Soul is the best! I also really love their Haute and Naughty mascara. I haven't repurchased it in a while, but need to again! Even though I'm not always aware of it, Mac is one of the brands I enjoy the most using and trying and I'm very rarely disappointed by their products! 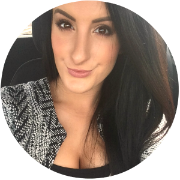 The Haute and Naughty lash mascara sounds lovely I love the idea of two mascaras in one! 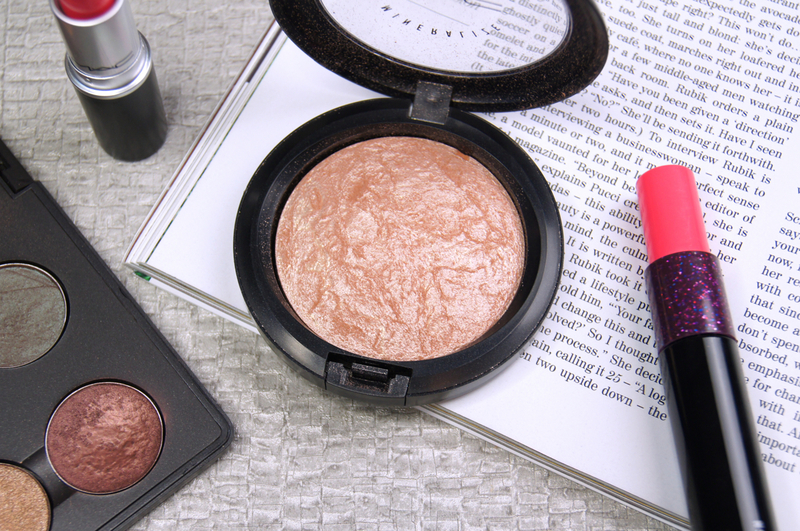 I have wanted to try the mac blushes and skin finishes for the longest time. MAC was my first makeup love as well, and for a long time I wouldn't use anything else. And up to this day my eyeshadows are mostly MAC, as well as my blushes, and they are so worth it. I definitely love MAC lipsticks but it has been a hit and miss with their mascaras. 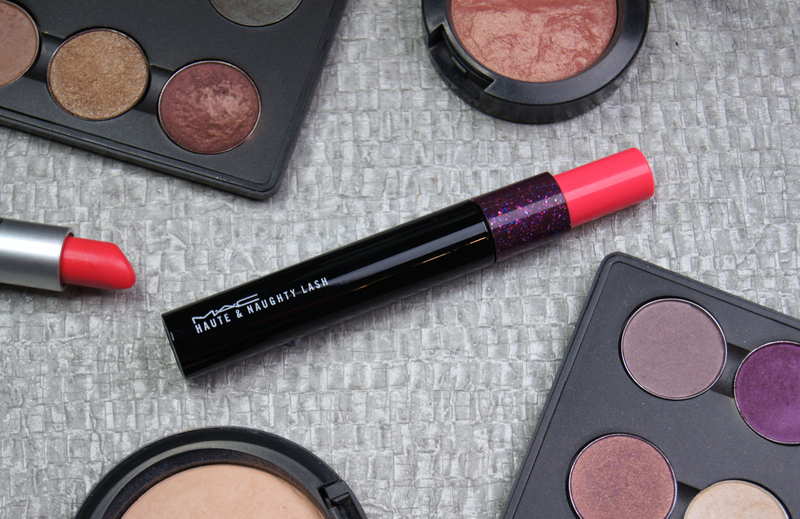 This is the first time I'm reading about Haute & Naughty mascara, will pick that up to try soon. All of these colors are so pretty! I love it when bronzers and blushers have a marbled look. You know, I haven't tried their mascaras...but I do love their blushes! I fall in and out of love with MAC make-up. 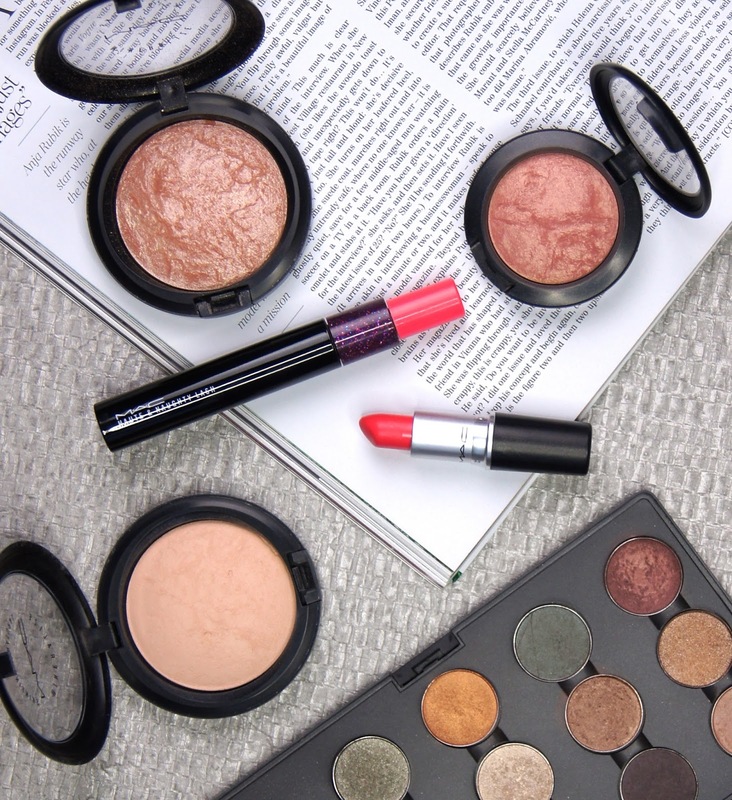 Totally argree with you about the lipsticks and eyeshadows! They have the best colour collections for each product!